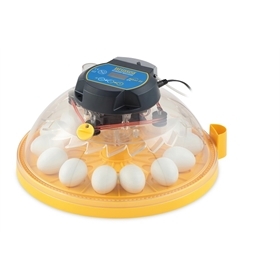 This particular model, the Mini II Eco, holds 10 hens’ eggs and has manual egg turning and a fan circulating the heat evenly: no hot or cold spots! 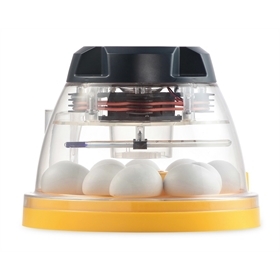 It comes with a glass thermometer to check the incubator's temperature, and you can easily add water to the external port to control humidity without having to open and close your incubator. 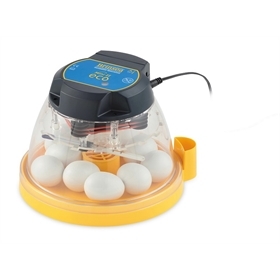 This new incubator model from Brinsea, the Mini II, is replacing the Mini incubators. 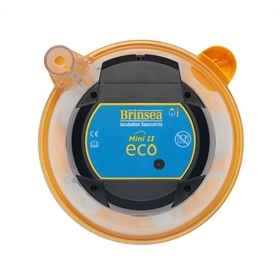 This new series has the same great features as the first series, with the added convenience of an external water top-up in the Eco and Advance, and a new room temperature alarm in the Advance and Ex. 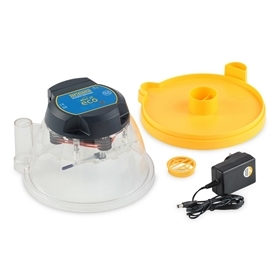 The Ex model also comes with an integrated water pump. 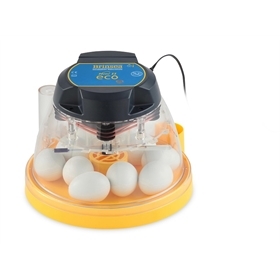 If you're looking for additional automatic features to make home incubation easier, please check out our other models: the Mini II Advance and the Mini II Ex. 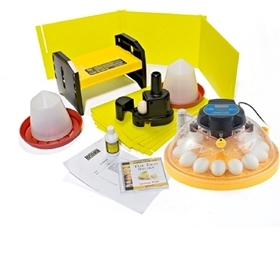 We also sell the Mini II Advance Classroom Pack.